A 19-year-old charged with hacking the website of the UK Serious Organised Crime Agency has been diagnosed with Asperger's syndrome, a court has heard. Ryan Cleary, from Wickford, Essex, was arrested as part of a Scotland Yard and FBI probe into online hacking group LulzSec. His counsel told City of Westminster Magistrates' Court he had the form of autism, along with agoraphobia. He was granted bail, but remains in custody after prosecutors objected. Ben Cooper, defending Mr Cleary, said he was concerned the alleged hacker would have to remain in custody over the weekend. The court was told he is of high intelligence but has difficulty interacting with other people. But prosecutors refused to reconsider their bail appeal. Mr Cleary is alleged to have set up a distributed denial of service (DDOS) attack on the Serious Organised Crime Agency (Soca) on 20 June. A DDOS attack typically involves flooding a target website with data, in an attempt to overwhelm it so it cannot serve its legitimate users. He has been accused of attacking the website of the International Federation of the Phonographic Industry in November 2010. And Mr Cleary also allegedly attacked the British Phonographic Industry's website in October. 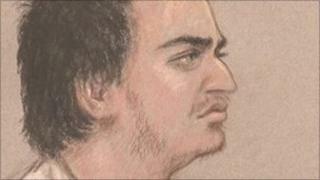 He was charged under the Criminal Law Act and Computer Misuse Act by the Met Police's e-crime unit. The charges against Mr Cleary include conspiring with other unknown people on or before 20 June to construct a botnet - a collection of hijacked home computers - to conduct distributed denial of service attacks. He is also charged with making, adapting, supplying or offering to supply a botnet, intending that it should be used to commit, or to assist in the commission of a distributed denial of service attack. The bail appeal will go to a Plea and Case Management Hearing at Southwark Crown Court on 30 August. If Mr Cleary wins bail he will be banned from having any possession which can access the internet. No internet access will be allowed at his home, which he will be prohibited from leaving without his mother, Rita Cleary. Mr Cleary has not entered a plea to any of the charges.